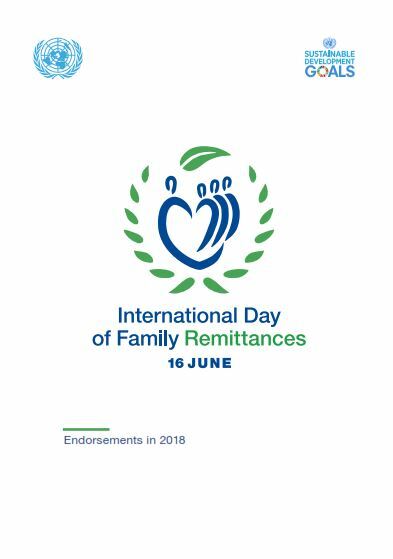 The International Day of Family Remittances (IDFR) is observed each 16 June. Since 2018, following its adoption by the United Nations General Assembly, it is a full-fledged UN Day. The brochure presents the endorsements received in 2018 and the linkage of the Day with the SDGs.